This past holiday my family (25 in total) did the gift exchange/swap thing – everyone brings a wrapped (hence the secret) gift with an approximate value of $10. Depending on the number you pull from a hat you then chose when it is your turn to unwrap one gift or steal from a gift that has already been unwrapped and revealed. Fun and chaotic, sometimes even turning into a bit of a ‘sport’! This year in true Modmissy style I decided I had to create a ‘one-of-a-kind’ gift that reflected me. Chocolates are de-lish and lottery tickets could be $$$$$$ but just not my style. Here is what I decided to create. I started with this. 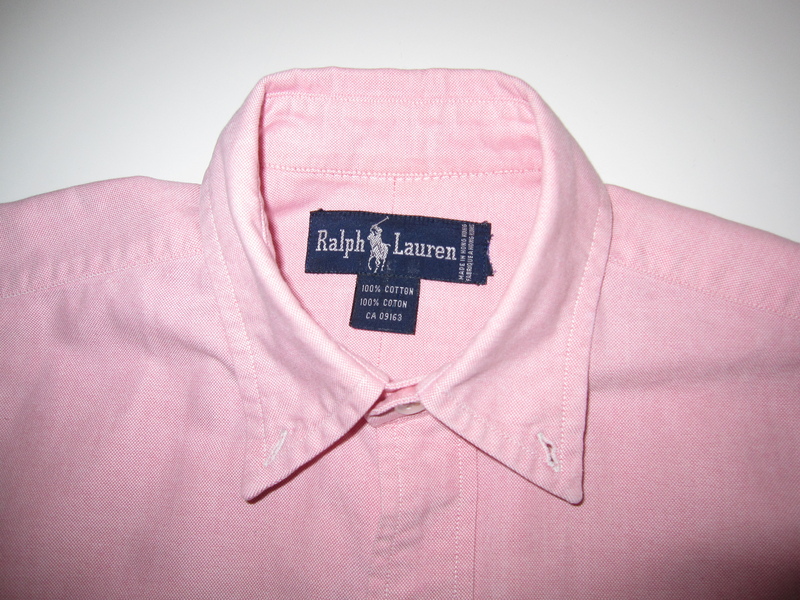 A Ralph Lauren oxford shirt that I decided my husband no longer needed! 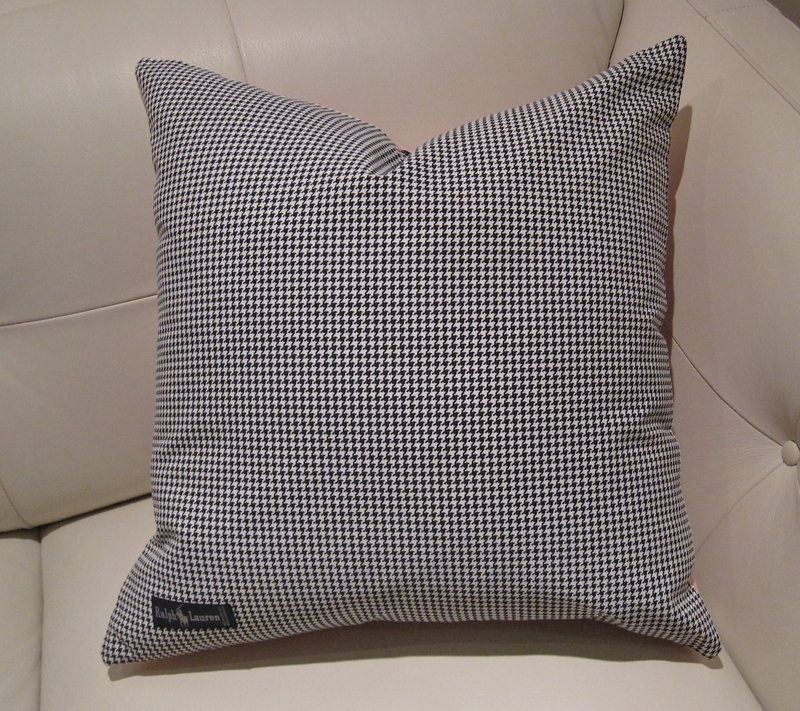 And then with some black and white houndstooth check fabric I started to create. Any guesses? A few cuts and stitches later this was the end product. 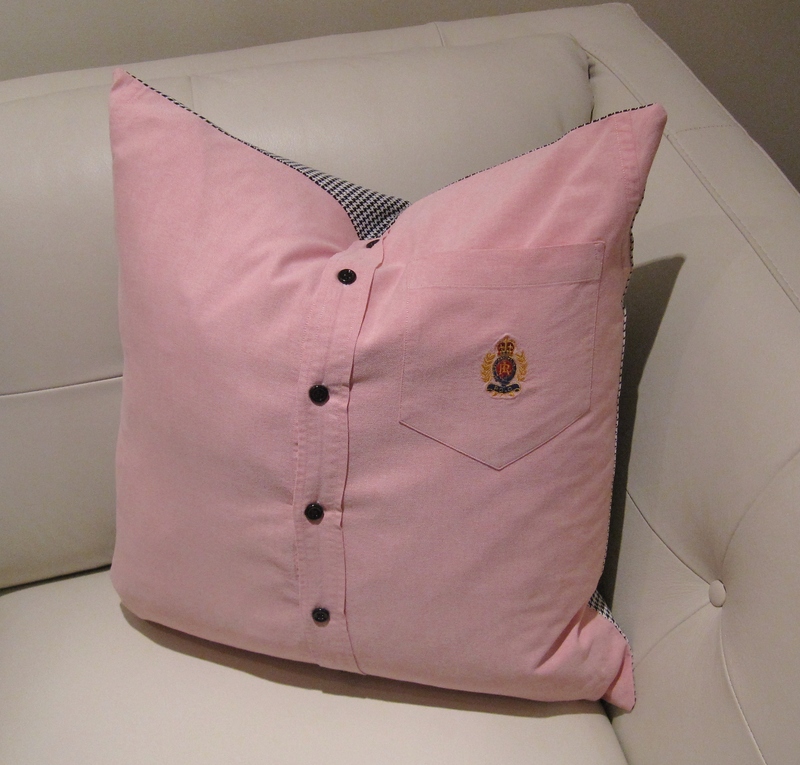 A Ralph Lauren oxford pillow! 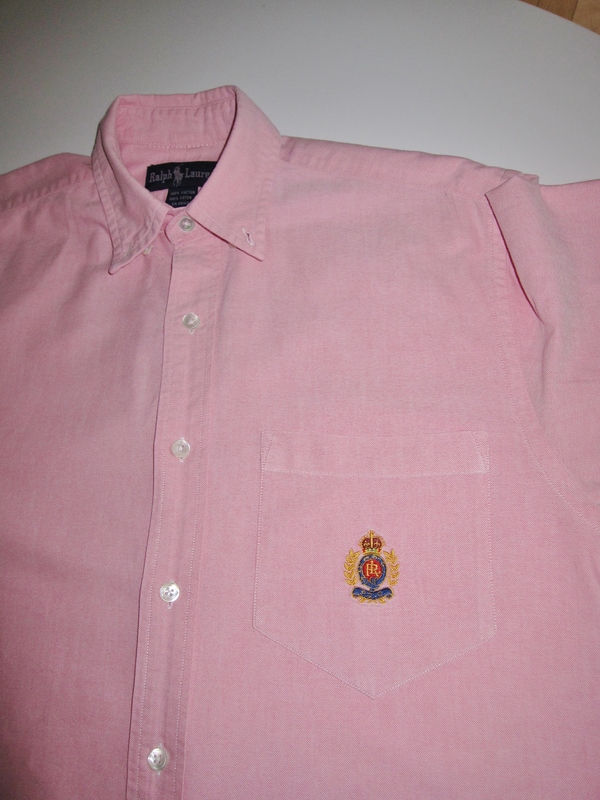 The front of the pillow was the Ralph Lauren shirt complete with the pocket and logo plus I changed the white buttons to black for more interest. 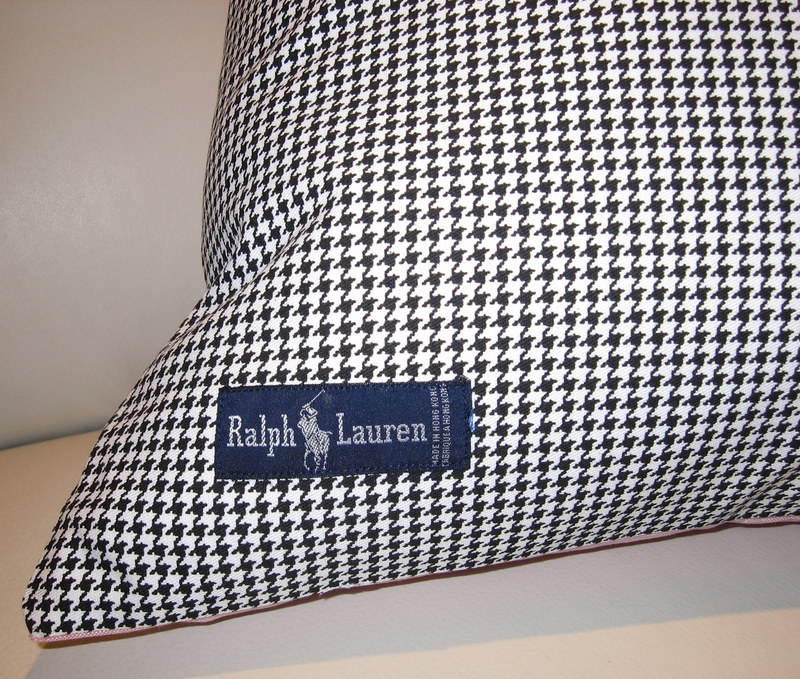 The back of the pillow was the houndstooth with the Ralph Lauren label that I removed from the inside of the shirt at the neck and re-sewed on to the pillow. A Modmissy creation now adorning a niece’s sofa! This entry was posted in Design, Home, Style and tagged color, DECOR, diy, fabric, Fashion, HOME, Interior Design by Modmissy. Bookmark the permalink. Thanks Corinna. I shamefully did not gift wrap any gifts as beautifully as you do (I used gift bags!) so it was fun to put my ‘wrapping’ skills into a pillow cover. Michelle, LOVE it!! I think you have a market here. 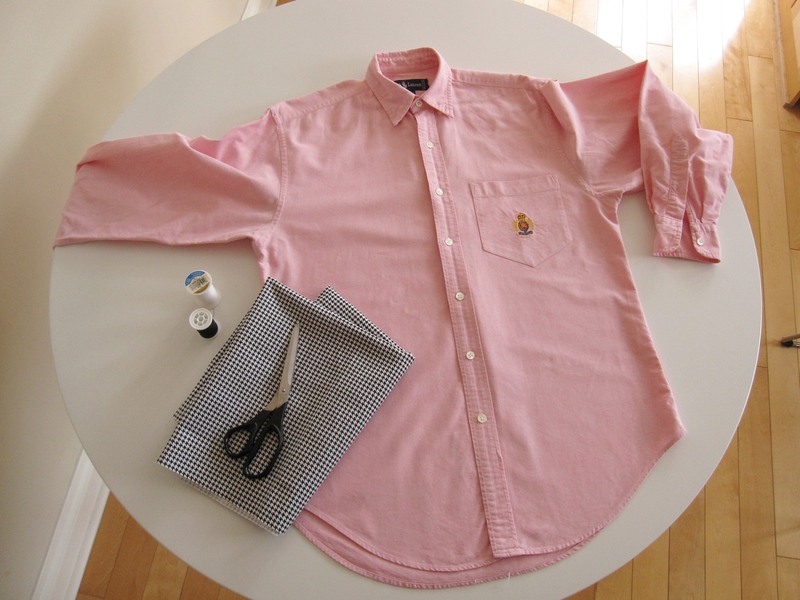 Start sewing girl!!! So adorable! If you ever start a blogger gift exchange, I definitely want in! What a great idea! I am going to follow through on that suggestion. Stay tuned. Thanks for the ‘shout out’ and including my pillow in your blog post.